River Front property in a sportsman's paradise for hunting and fishing! 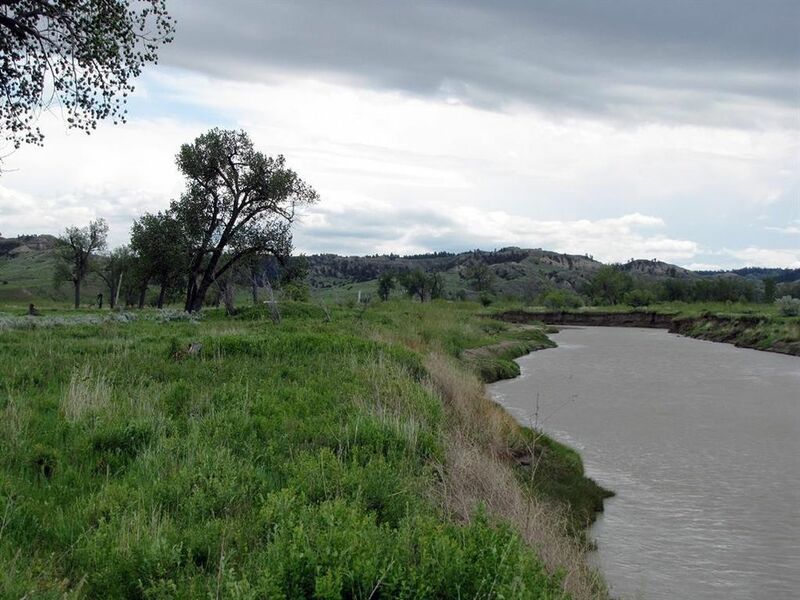 Approximately 1000 feet of frontage on the Musselshell River! This remote 20 acre property has phone to the lot line and power is on the adjoining property. It even has the internet available! Located 25 miles south of the Fort Peck Reservoir and CMR Wildlife Refuge, an area known as the Missouri Breaks. It is renown for its wildlife including elk, mule and whitetail deer, bighorn sheep, antelope, turkeys, pheasants, sharptail grouse, sage grouse and Hungarian partridge. It is 30 miles from the town of Winnett (pop 250) and 85 miles east of Lewistown (pop 5500). Billings is 120 miles to the south. It is a secluded area miles from the crowds with lots of public land. Just a mile to the west or to the east you have access to 1000's of acres of public land where you can hike, hunt, ride horses, four-wheel drive or just explore.This is your chance to get your Montana hideaway, a place to escape to or even retire! Directions: From Winnett, east on HWY 200 18 miles to Cat Crk Rd, north to Lower River Rd to Haley Coulee Trl.